or any of the general contacts. Please click here and select where you are coming from. If flying in: Please review the Operational Details and Approval Requirements here. 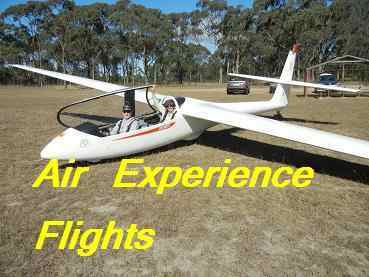 The Hunter Valley Gliding Club is a member of the NSW Gliding Association, which is a member of the Gliding Federation of Australia. The GFA Web Site contains useful links for newcomers as well as technical and operational information for Australian glider pilots. Safety is of paramount importance for all aviation activities and at HVGC we take the safety of our members and visitors very seriously. If you are not familiar with our airfield please review our Visitor Safety Briefing. Our operations and some aspects of club structure are described here.